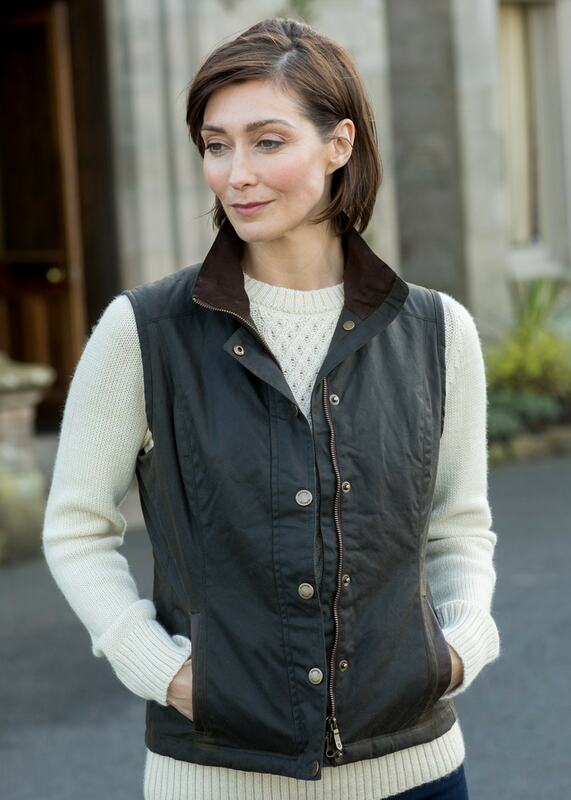 The Dubarry Oranmore Gilet is a ladies heritage inspired wax cotton gilet. The Dubarry Oranmore Gilet is a ladies heritage inspired wax cotton gilet. With its flattering fitted shape and water repellent finish, the the Oranmore Gilet is the perfect outer layer and works wonderfully worn over a crisp shirt or cosy sweater.